It looks something may have happened at Fukushima II Nuclear Power Plant. According to TEPCO, there was a small rise in pressure in the reactor building, which is to be kept at a negative pressure to prevent radioactive contamination from spreading into the environment. TEPCO announced that there was no new abnormality in Fukushima I and II Nuclear Power Plants. The quake measured on site was small, and it didn't affect the water injection into the reactors or the cooling of the spent fuel pools. However, in Fukushima II (Daini) Nuke Plant, the pressure inside the Reactor 1 building rose a little. At 5:20PM, workers lowered the pressure by manually operating [the system that] pumps out the air. TEPCO's manager Masayuki Ono explained "It's not very serious", even though he acknowledged the company did not know the cause of the pressure rise. According to TEPCO, there is no leak of radioactive materials in the environment. Ah the famous last word, "No leak of radioactive materials in the environment". There were 11 people injured in the M7.3 earthquake. There was a M6.2 earthquake 13 minutes after the M7.3 earthquake, but the Japanese tweets say there was no media report on that one, other than in the data pages of Japan Meteorological Agency and other meteorological news sites. Many people say they did indeed felt two shakes. Right now, some people are trying to figure out what the hell is "autaah raizu" earthquake (and remember, "r" and "l" are indistinguishable to the Japanese) - a transliteration of "outer-rise" earthquake". (UPDATE 12/7/2012) Information on Fukushima II (Daini) Nuke Plant in my latest post. Just saw the headline at Jiji Tsushin. Strong earthquake at 5:18PM on December 7 in Tohoku and Kanto. Aomori, Iwate, Miyagi, Tochigi had the seismic intensity of "5 weak". Japan Meteorological Agency has issued a tsunami warning to Miyagi, as 1-meter high tsunami may arrive at 5:40PM. 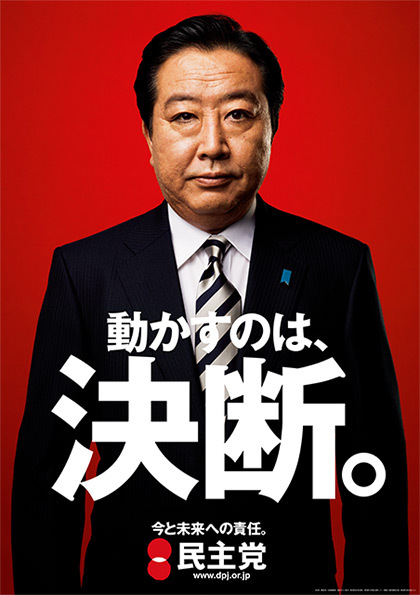 Prime Minister Noda, who was campaigning, returned to the Official Residence on the news. It was a Magnitude 7.3 earthquake. Nuclear Regulatory Authority says there has been no report of problems at nuclear power plants. TEPCO says there is no damage to Fukushima I Nuclear Power Plant. (As if the plant needs any more damage..) No one was hurt, no change in plant parameters. TEPCO says it was 4 in seismic intensity in Hamadori (ocean 1/3 of Fukushima Prefecture where the plant is located). "Tsunami Warning for Miyagi Prefecture... In 10 more minutes... Please recall how it was in East Japan Great Earthquake [March 11, 2011 earthquake]... Escape to highest places as possible... To save lives, hurry and escape..."
NHK says the 1-meter tsunami did arrive at Ayukawa in Ishinomaki City in Miyagi at 6:02PM. USGS site shows a relatively strong aftershock (M.6.2) about 13 minutes after the M.7.3 quake, then a M.5.5 and M.4.7 (two). Many Japanese on Twitter are recalling how it was in March last year. Not the March 11 one but the one that came before, a few days earlier, just about the same magnitude. "No to dictatorship," Morsi's opponents chanted, while their rivals chanted: "Defending Morsi is defending Islam." As if Islam is Egypt. At least four people have been killed in the Egyptian capital, Cairo, as supporters and opponents of President Mohamed Morsi clashed near the presidential palace, the health ministry says. Fighting continued into the early morning on Thursday with fires burning in the streets where the opposing sides threw stones and petrol bombs at each other. Riot police were sent in to break up the violence on Wednesday, in which about 350 people were injured. The opposition is demanding Morsi rescind a decree giving him nearly unrestricted powers and shelve a disputed draft constitution that the assembly passed hurriedly last week. Al Jazeera's Sherine Tadros, reporting from Cairo, said hundreds of protesters remained in the streets before dawn on Thursday, but that most of Morsi's opponents had retreated. A small group of opposition activists had been camped outside the palace since Tuesday night, when tens of thousands rallied against the presidential decree. Supporters of Morsi marched to the palace on Wednesday and tore down the opposition's tents. Witnesses said they threw stones and used clubs to attack demonstrators. Thirty-two people were arrested on Wednesday, according to a statement from the interior ministry. Protests spread to other cities, and offices of Morsi's Muslim Brotherhood in Ismailia and Suez were torched. Both sides blamed the other for starting the clashes: Opposition leaders said Morsi was responsible for the bloodshed, while senior Brotherhood officials accused the opposition of "inciting violence". 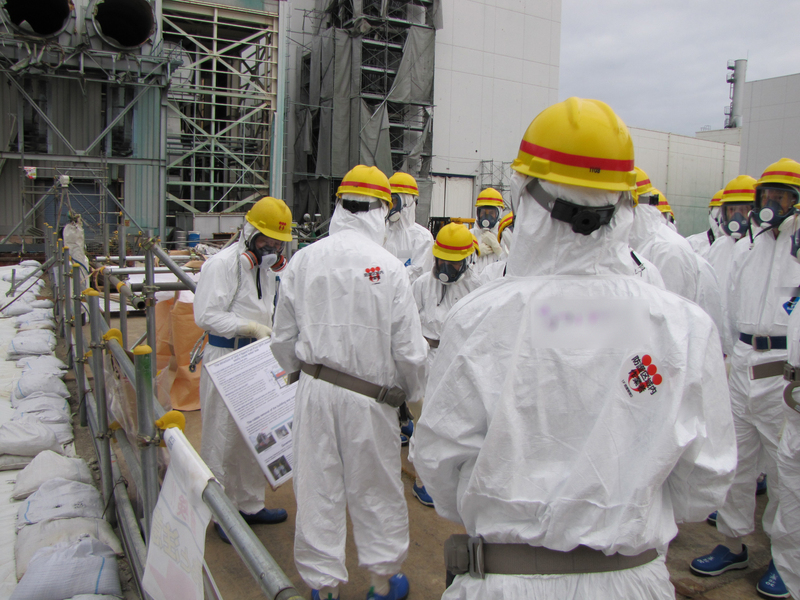 Members of the US National Academy of Sciences were there at Fukushima I Nuclear Power Plant on November 30 in Tyvek suits and full-face masks to learn the lesson from the accident. The NRA and the international advisors will have their first meeting on December 14 in Tokyo. They will probably keep a very good eye on Japan, so that Japan does not deviate from the nuclear path. But then, these experts need not worry, as the Japanese have moved on. They are now obsessed with the upcoming election. Many point to the brighter future somewhere over the horizon and dream, while not even noticing they have stepped on a pile of dog excrement. By the power of sheer hope, they don't smell it, they don't see it, therefore it doesn't exist. Sasago Tunnel Accident: "No Corrosion of Bolts, Only Some Rust, Ceiling Intact", Says Yomiuri, But NHK Says "Some Bolts Corroded, Cracked"
Information on the accident is dribbling out via the media, not directly through the tunnel operator NEXCO Central, whose website has zero information on the accident other than their "Sorry for the accident victims" message, or the ministry in charge (Ministry of Land, Infrastructure, Transport and Tourism) which set up an investigation committee made up of scholars and university professors (as if they had ever worked a day in construction). The Investigation committee of the Ministry of Land, Infrastructure, Transport and Tourism surveyed the accident location and met for the first time on December 4 after the Sasago Tunnel accident in Yamanashi Prefecture where the ceiling panels collapsed [killing 9 people]. The committee revealed to the press that there was no noticeable corrosion on the anchor bolts that fell from the ceiling. The committee will further investigate in order to determine why the bolts fell. The survey lasted for about one hour. The committee members saw the anchor bolts that fell, and looked at the concrete ceiling of the tunnel. According to the committee, there was no evidence of large flaking of concrete, and while some anchor bolts showed some rusting, it was minor. The committee also confirmed the maintenance method with the Central Nippon Expressway Company. According to the committee, they were "conducting the maintenance according to the internal manual, but we cannot determine at this point whether the manual was appropriate." As if there is only one manual. From my personal experience, they may have at least three manuals, one for the submission to the regulatory authority, one as the official company manual, one as the unofficial manual for the field workers. I wouldn't be surprised if there's yet another one, unofficial, oral manual handed down the workers who really know the situation. According to the police investigating the scene, there were multiple metal bolts that had fallen from the tunnel ceiling, which had been used to secure the metal bars that had suspended the ceiling panels. Some corrosion was found on the bolts, and some of them were found cracked, according to the police. They will further investigate how the bolts fell. - There was a discussion of how the accident happened. You would think the government and the government experts have learned the lesson from the Fukushima accident - that information needs to be promptly and fully disclosed. So we have no choice but rely on the media, and muddle through. Life is completely back to normal in Japan. I'm not running for any office, but since everyone is having fun creating election posters, I thought I'd make one myself. I have to admit it's not very inspiring or pretty. My personal favorite is Mr. Tanaka's poster. He looks calm and not prone to over-promising. Despite the silly gesture, I also do like Mr. Shii, smiling at us, looking like a good sport. As far as the color scheme goes, DPJ's Noda and New Party Nippon's Tanaka are the winners to me. The colors (red or dark red background, very dark suits) portray substance, whether the substance is actually there or not. Mr. Tanaka could have chosen a better tie. This is the silliest design I've ever seen. But then I'm no engineer. 9 people were killed when the concrete ceiling panels in Sasago Tunnel in Yamanashi Prefecture suddenly caved and fell on the motorists who happened to be in the tunnel. The media reports try to explain how the ceiling panels were secured by metal brackets, no, they were hanging from the ceiling, oh wait, no they were attached to the dividing wall in the middle, no they were secured by metal bolts. I guess the reporters aren't engineers either. I finally found this drawing which seems to be more or less accurate. Since the tunnel opened in 1977, there has been no maintenance, no testing of the bolts that secure and hang the concrete ceiling panels (1.2 tonne a piece). There is no record of the bolts ever replaced. All they have done every five years is visual inspection. Why? Because physical inspection was not required by law, and since the bolts are anchored at the highest part of the tunnel they are inaccessible. After I tweeted I wanted to see the detailed diagram of the tunnel, my twitter followers sent me the graphics that show how the bolts and metal suspensions were attached to the concrete panel. Now, why did they need this strange ad-hoc-looking structure? (It is not actually ad-hoc, as this structure was in place when the tunnel opened for business in 1977.) It turned out that the air in the tunnel tended to stagnate, and with heavy traffic with motorists having to sit in the tunnel for an extended period of time the risk of carbon monoxide poisoning was high. So they needed a structure that would allow effective air flow. So they decided to create air ducts by dividing the tunnel by concrete panels suspended from the ceiling by metal bars which would be supported by concrete divider wall that would separate the duct space in two, and the metal gars would be bolted to the ceiling. Who were the general contractors who did this job? I looked all over, and there are only rumors. No major news outlets mention the names of the general contractors. Rumors or no rumors, share prices of Japan's 1st-tier and second-tier general contractors jumped in the stock market in Japan on Monday. Kumagai-gumi, one of the most skilled contractors in tunnels, jumped more than 10 percent. Why? Because the market thinks it is now extremely certain that the Japanese government will spend another borrowed fortune on public works, in response to citizens' fear and outrage that their infrastructure has deteriorated rapidly. As one of my followers said, it's not that the top-tier general contractors are good at maintenance (they aren't). Well, 35 years of deferred maintenance does wonders. Like generating fat profits for general contractors who will throw work down their construction subcontractor pyramids. Dango anyone? TEPCO's Teleconference Video on March 16, 2011: "Lunch Menu is Biscuits and Canned Saury"
I'll never forget the NISA official who said in March last year that it was none of the government's responsibility to provide the workers at the plant with decent food. He said, "Yes we're aware of the situation, but it's basically TEPCO's problem. No, we're not going to do anything about it." The workers didn't have enough blankets in the beginning, either. As hardly anyone in Japan has paid attention to details on what happened and why, this will be repeated in the next accident. "If it [Reactor 3] explodes, we'll all die. Do you understand? Take it seriously and come up with the procedure!" He was talking about the SDF helicopter's water dropping operation at the request of the Kan administration, which eventually took place on March 17, 2011. On November 30, 2012, TEPCO released the 336 hours of its teleconference video from March 16 to 23, and from March 30 to April 6, 2011. TEPCO only made about 2 hours worth of the video available to the general public (online). The rest of the video is only available for viewing at TEPCO's headquarters and only by the qualified press (Japan press club members). One such qualified press, Sankei Shinbun viewed part of the video, and wrote a series of articles on what they found. Excerpts from Sankei Shinbun (12/1/2012) on the Self Defense Force spraying water onto the Spent Fuel Pool of Reactor 3 paint the scene as that of confusion and anger. The first segment below is from March 16, 2011, which is part of the video only available to the qualified press, and the second segment is on March 17, 2011, in the video TEPCO made available to public (embedded below, in Japanese only). 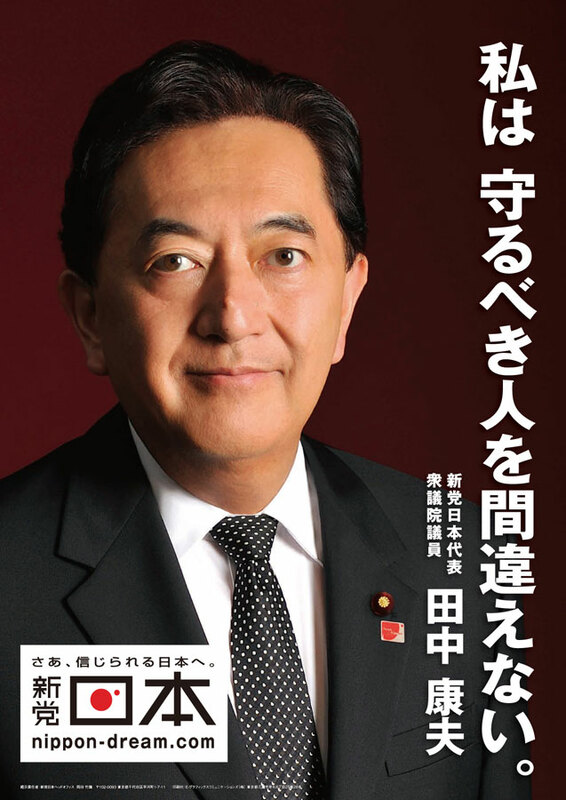 One caveat: Sankei has been highly critical of the Democratic Party of Japan's administrations, and they often go out of the way to emphasize the ham-handed meddling by the DPJ politicians. Fukushima I Plant Manager Masao Yoshida: "How are they going to inject water? I would like you to instruct us a bit more clearly. Any instruction will do, like a procedure manual." Manager at TEPCO HQ: "It is important to establish a procedure, but I think it is also necessary to prepare for emergency and quick retreat." Yoshida: "Yes, but I want the HQ to create a procedure manual. Don't you have it? The manual? You thought simply pouring water would do it, is that it? We'll all be watching, around [the reactor]. And you know what, if it explodes, we'll all die, you understand? We'll do it, I understand it has to be done right now. So get serious, and come up with the procedure, please!" A worker at Fukushima I Nuke Plant: "This is it? Where's the water?" Another worker: "Agh. (Water) didn't reach Reactor 3. What is this?" The first worker: "Oh well.. It is just a spray." "Look, you have to take this stuff seriously. We don't know what's going to happen." Maher said the US government was terrified, in his interview in January this year, recalling the time. He published a book about the accident and the government response ("決断できない日本　The Japan That Can't Decide") last year, but no one in Japan seems to have paid any attention, as it contradicts the official stories of Japan and the US which were all praise of this daring operations caught live on camera. Speaking of helicopter, Maher also said last year that one of the items freely offered by the US government to the Japanese government right after the nuclear accident started was an unmanned helicopter. After going back and forth, with the Japanese government asking about the technical details and trivial points about the helicopter and its operation, the big question finally came from the Japanese government: "In the event that the helicopter is contaminated by radiation, what will happen with regards to compensation?" US officials must have thought they were speaking with the space aliens.